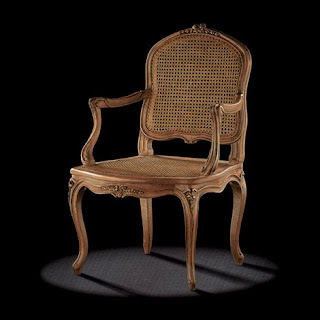 A la reine caned armchair circa 1760, stamp S. BLANCHARD (Sylvain-Nicolas master in 1743 at age 18). Dimensions : 98 h x 62 w x 55 d cm. Original : private collection of a Brussels antiquarian (Belgium). 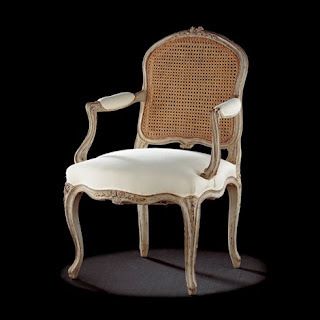 This elegant Louis XV Blanchard armchair, light a la reine, or straight-backed, armchair is the work of one of the master carpenters of the Blanchard dynasty who lived under the sign of the "Chat Blanc" at Rue de Clery. 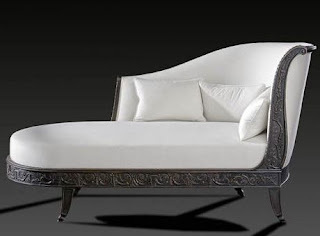 The very vigorous coup de fouet animating the arm-rest supports, the deep carving and the very Parisian curves are worthy of admiration. We also note the curious, unusual carving of the foliage on the back, with its openwork, standing away from the base at some points. This unusual, fine carving may be by the carver Jean-Baptiste-Simon Rode, of the Académie de Saint-Luc, a neighbour of Blanchard and supplier to the Count of Artois. 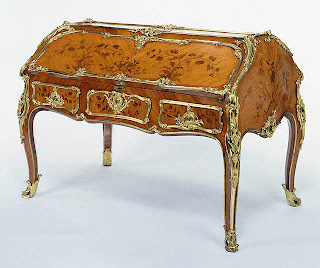 Blanchard worked with the highly demanding Nicolas Quinibert Folliot, purveyor to the King. 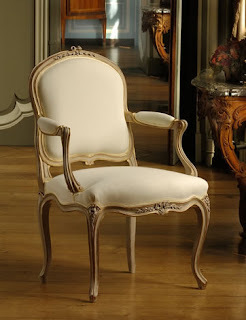 The seat height means that this armchair can be used at the dining table.